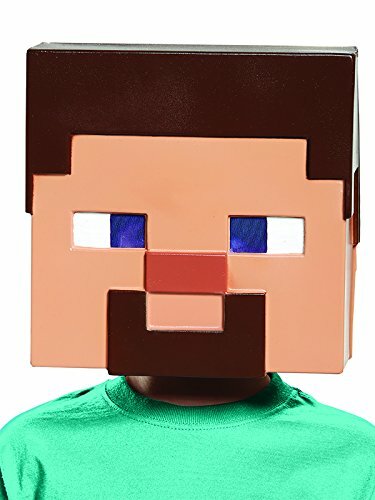 If you love Minecraft then you will love this very cool Steve mask. 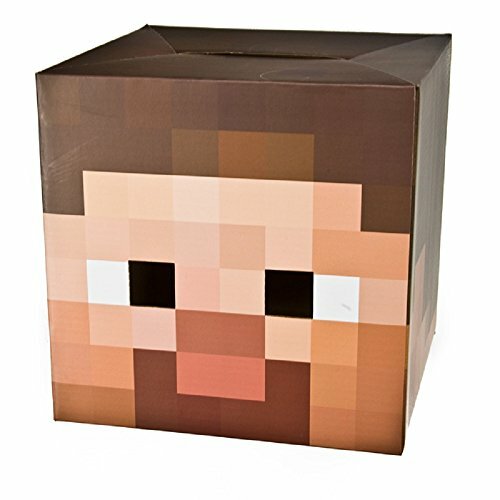 Steve is the default player skin and you can now easily look like your character with this Steve 1/2 mask. 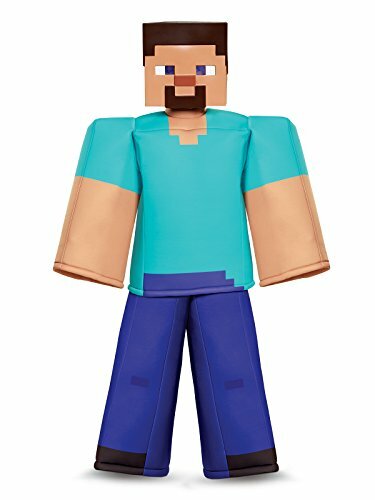 Dress up just like the hero from one of the most legendary video games ever made, Steve from Minecraft! Costume includes teal 3D constructed top with purple pants and a character mask. Costumes fits childrens sizes 7-8. Deluxe version. With this great new classic costume, you can look like Steve from the legendary video game series Minecraft in all of his retro pixillated glory! Costume features 3D constructed top and character mask. Costume is one size fits most. 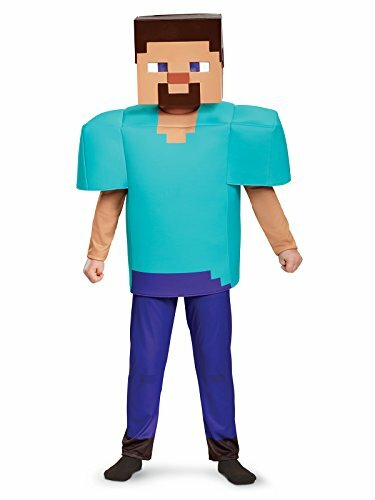 Dress up just like the hero from one of the most legendary video games ever made, Steve from Minecraft! Costume includes teal 3D constructed top with purple pants and a character mask. Costumes fits childrens sizes 10-12. Deluxe version. Dress up as a character from one of the most world famous games, Minecraft. 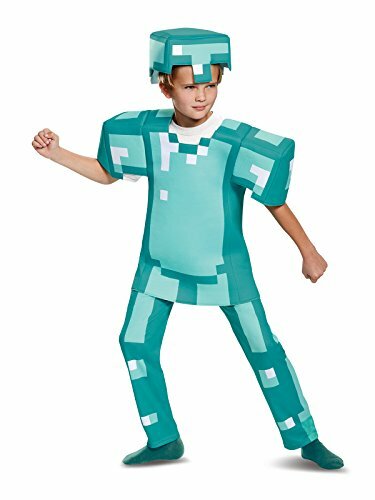 The Minecraft Armor Deluxe Child Costume includes a 3D constructed top, a soft character headpiece, and pant legs. 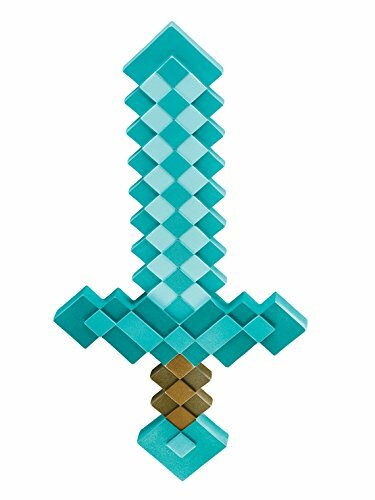 This is an officially licensed Minecraft costume. Dress up as a character from one of the most world famous games, Minecraft. 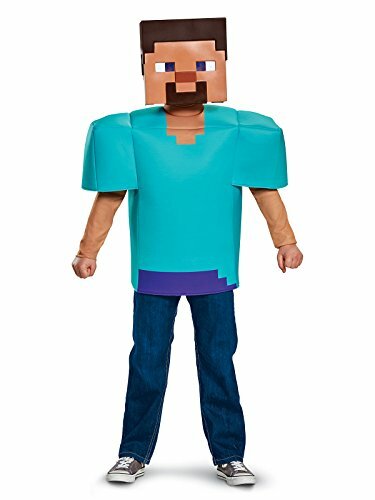 The Minecraft Steve Classic Child Costume includes a 3D constructed top and a soft character headpiece. Does not include pants. This is an officially licensed Minecraft costume. Dress up as a character from one of the most world famous games, Minecraft. 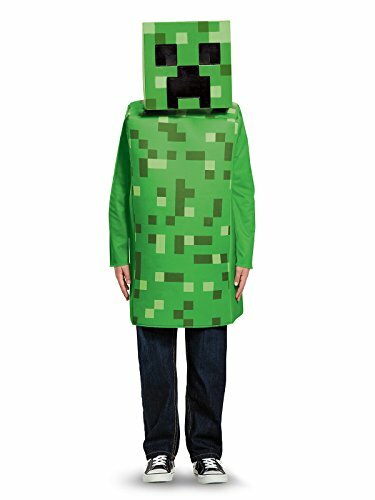 The Minecraft Creeper Prestige Child Costume includes a 3D constructed top, 3D constructed pants, and a soft character headpiece. This is an officially licensed Minecraft costume.